According to a latest AICTE directive, the HRD Ministry has stressed the need to have a mechanism for online registration as well as disposal of the grievances not only of the students but also the faculty members. 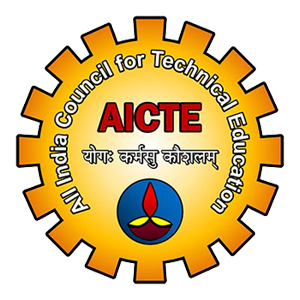 Consequently, the All India Council for Technical Education (AICTE) has issued a circular asking all the institutions affiliated to it to urgently establish an online mechanism for registering and disposing of grievances. On the idea behind the directive, the Chairman of AICTE said that though the students do complain, only some are addressed, some delayed and others not addressed. The flood of mails both on the AICTE portal and the government’s Centralised Public Grievance Redress and Monitoring System portal made the council to issue a directive regarding the establishment of online grievance redressal systems in technical education institutions. According to AICTE, the implementation of grievance redress portal will be helpful to address all the grievances in a time-bound manner. This will ensure transparency and students will be more benefitted. Also the Council will take into account the performance of the grievance redressal mechanism at the time of renewal of their approval every year. Through this, AICTE aims to support students, parents, teachers and staff who have been deprived of the services offered by the college for which he/she is entitled, to make officials of the institute accountable and responsive in dealing with the grievances and to ensure effective solution to the grievances with an impartial and fair approach. The AICTE notification mentions that all technical institutions should have a notice board near the office of its Head, informing the students about the portal, providing names, contact numbers and email IDs of members of the Grievance Committee to ensure public awareness. Additionally, an online monthly status report on the number of issues received, disposed and pending on the last day of the previous month should be provided to the regulator.